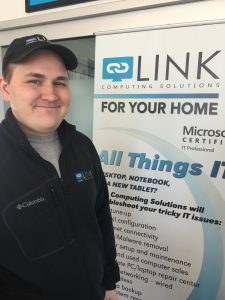 A family-owned small business in Oshkosh, Wisconsin, Link Computing Solutions specializes in IT support for both commercial and residential customers. Welcome to Link Computing Solutions. We’re a small business specializing in computers and IT support in the Fox Valley. Our team has a combined experience of more than 55 years and we’d like to help you with your computer, networking and IT needs. I’m Ray, owner of Link Computing Solutions in Oshkosh, Wisconsin. I’ve spent 20 years working as a computer consultant already. Daily interaction with both business and residential customers has prepared me well for the launch of this, my first small business venture. I wasn’t always all about computers. From 1986 to 1991, I served in the U.S. Navy as a Petty Officer onboard the USS Sacramento. While there, I secured a Top Secret Clearance, helped a supply department achieve the ‘Blue E’ for efficiency, and earned both the Navy Achievement and Good Conduct Medals. 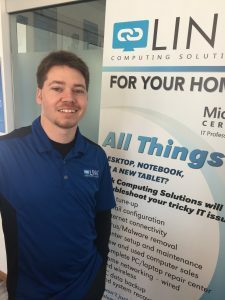 I’m Adam, an IT Tech at Link Computing Solutions in Oshkosh, Wisconsin. I’ve been with Link Computing Solutions since 2013. Originally a native of Dunedin, Florida, I moved to Oshkosh to continue my endeavors with Link Computing. When I am not working, I enjoy spending time with my wife and two boys, golfing and watching sports! 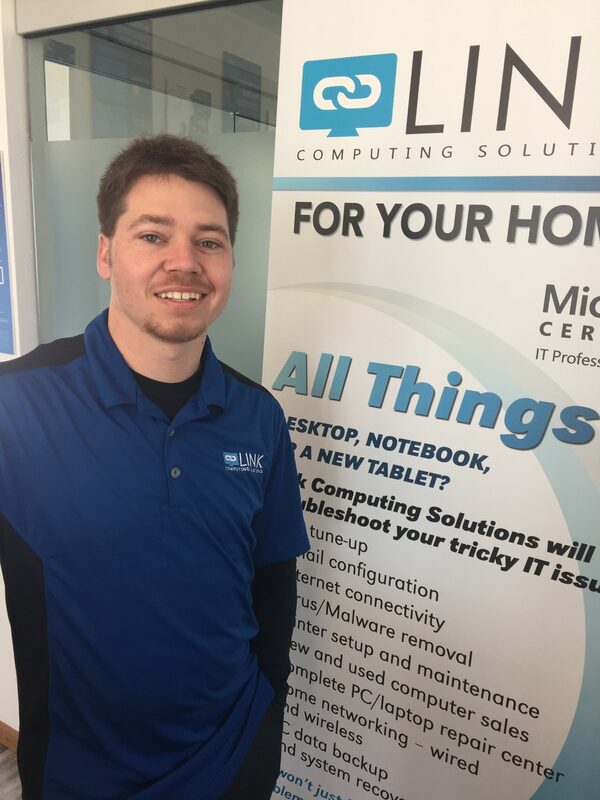 I’m Jake, an IT Tech at Link Computing Solutions in Oshkosh, Wisconsin. I’ve been with Link Computing Solutions since 2013. I was born in Oshkosh and moved to Florida with my family when I was a child. I moved to Oshkosh in 2013 to continue with Link Computing Solutions and to be around family. When I am not working, I enjoy spending time with my wife, son and two little girls, listening to old records and traveling. 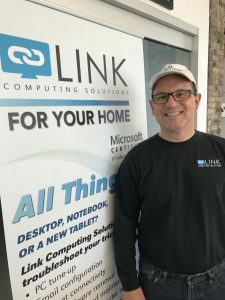 We are so appreciative to have found Link Computing Solutions! Link has been extremely reliable for our business as well as our homes so much so, we have utilized their services for over 14 years!